As all of us seasoned parents now know, the newborn days are but a blink of an eye in terms of having a child. All my life I had a vision of a tiny little baby in my arms and when that time finally arrived, my tiny baby turned into a toddler before I’d had time to fully relish him as a newborn. When my second arrived I relished every fleeting second, and I sure do wish I’d had a Newborn Noonie from Etsy’s Lala’s Pequenos to capture my baby’s absolute gorgeousness in photos. They make a fantastic pod for showing off a brand new baby, both out and about and in pictures. Take it along to a photo shoot or get creative at home with the camera. 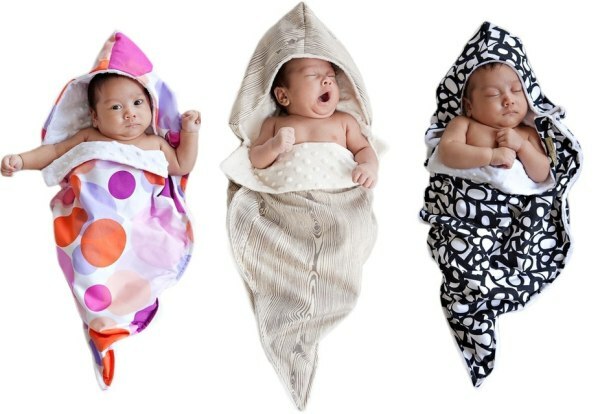 The Newborn Noonie comes in a vast array of stunning fabrics, my favourite being the wood grain design. Baby looks so snug and wrapped up like a gift from a pixie – who wouldn’t melt at the sight of a new baby in one of these?! Newborn Noonies are US$45 each plus shipping, from Lala’s Pequenos.